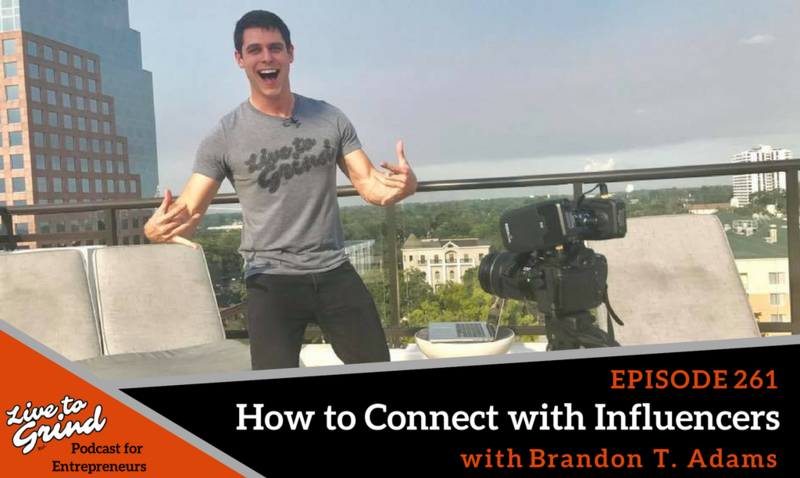 How can you connect with influencers all over the world? Brandon shares his secret to success through the simple strategy of ADDING VALUE! – What Brandon has learned from the past week. – The power of building relationships. – Details on the upcoming Live to Grind event. – Why attending events is so important. – A look at the founding members of the Live to Grind event. – How to value to others to grow your own business. – Why adding value can help connect you to anyone in the world. Secure your spot at the Live to Grind Accelerate Your Brand and Influence Event!